Rat Terrier Characteristics: The agile and companionable Rat Terrier is a breed of medium sized dog, classified as a member of the Terrier Dog Group. The Rat Terrier, is characterized by its sturdy, compact appearance with an alert, inquisitive expression. Other characteristics include medium sized, wide set, oval shaped, slightly slanting eyes; high set, V-shaped, ears; a long and tapering tail, or a bobtail and a speedy, powerful gait. The Rat Terrier has two ear types: erect and button. The temperament of the Rat Terrier can be described as Affectionate, Inquisitive and Alert. The coat type of the Rat Terrier is described as short, sleek coat in assorted colors. Due to its characteristics and qualities, the Rat Terrier demonstrated the desired traits of a Ratter and Farm Dog and is known by its nick name the "Feist". The origin of the Rat Terrier dog breed was in England where it was developed in the mid 1820's although it was developed in the United States as a distinct pure breed. Rat Terrier Breed Group and Dog Type - Terrier Dog Group: The Rat Terrier is one of the many breeds of dogs that belong to the Terrier Dog Group. Other names for the Rat Terrier: The Rat Terrier is known by the nickname of "Feist", because it was a feisty dog! Other names for this breed of dog include the Rat, Rattie, American Rat Terrier and Ratting Terrier. Origin of the name: The Rat Terrier is aptly named describing his primary function as a rat hunter. The origin of the word 'terrier' is derived from the Latin word 'terra' meaning "earth" as so many of the terrier breeds were originally bred and trained as hunting dogs to pursue their prey, such as rats and mice. Rat Terrier History and Origin: The country of origin of the Rat Terrier breed was in England during the 1820's during the beginning of the Industrial Revolution as a ratter. The Rat Terrier was later developed in the United States as a distinct pure breed. The ancestors of the Rat Terrier were a cross of the Smooth Fox Terrier and the Manchester Terrier. The cross breeding produced the Rat Terrier which inherited the smooth coat of the Fox Terriers and the distinctive black and tan markings of the Manchester Terriers including tan spots over the eyes. The placement and brilliant contrast of the tan markings against the black face of the Rat Terrier were great assets to the dog's work as a rat hunter. A cornered rat always goes for the eyes of its attacker in order to disable it. The bright tan spots seen around the eyes of the Rat Terrier confused the rat who leapt at the tan markings, rather than the eyes and missed its intended target. Due to its prowess of the Rat Terrier as a rat catcher the breed was also widely used in Rat-baiting, a popular blood sport in England where sanitation was poor and rats were a serious health menace. Rat-baiting involved putting numerous rats in a pit and then betting on how long it would take for a dog to kill them. The last public Rat-baiting competition took place in Leicester in 1912. The sport was banned but many terriers such as the Rat Terrier were left with just one eye due to an injury inflicted by a rat. The original English Rat Terrier were exported to the United States where American dog breeders began to make improvements to the dog. Cross breeding took place involving the Beagle, the Whippet and the Greyhound resulting in a speedier hunter, improved eyesight, an assortment of different coat colors and a devoted, friendly personality. Rat Terrier Modern History: The modern history of the Rat Terrier moved on and the breed is now enjoyed as a friendly family dog and companion. The Rat Terrier was officially recognized by the American Kennel Club (AKC) in 2013. Rat Terrier Height: This breed is classified as a medium sized dog. The height to the shoulder of a male dog is 9.8 - 15 inches (25 - 38 cm). The height to the shoulder of a female dog is slightly less. Rat Terrier Weight: The weight of the male in this medium sized dog is 13 - 24 lbs (5.4 - 11 kg). The weight of the smaller female dog is slightly less than the male. Rat Terrier Coat Type - LOW shedding coat: The coat type is described as a short, sleek coat. Rat Terrier Coat Colors: The colors of this dog breed consist of assorted colors consisting of white, red, lemon, blue, chocolate, orange, black with tan or rust, white and black or tan. The coat might also have Ticking (meaning intermittent spots). N.B. The term "Red" refers to reddish shades of orange, brown, and tan colors. The word 'Blue' is used to describe a cool-toned, metallic gray color. Rat Terrier Grooming - LOW Grooming Needs: The grooming needs of Rat Terriers is categorized as Low in order to maintain a healthy, tangle-free coat and reduce the risk of skin infections. The limited grooming needs of Rat Terriers are considered to be low maintenance, requiring limited attention to grooming where brushing and combing, is concerned. Grooming Requirements should include bathing the dog on a monthly basis and making regular inspections of the nails, teeth, eyes and ears. Rat Terrier Litter Size: The litter size of this dog breed ranges from 5 to 8 puppies. Rat Terrier puppies for sale can be obtained reputable breeders and from rescue centers. The cost of Rat Terrier puppies varies depending on location, pedigree history and the dog breeder. Rat Terrier Temperament and personality: The temperament and personality of this popular dog breed is described as Agile, Affectionate, Inquisitive, Alert and Companionable. Rat Terrier Exercise Requirements - LOW Exercise Requirements: The exercise requirements of this breed of dog is low. The Rat Terrier requires regular daily exercise consisting of approximately 30 minutes to one hour every day. This small dog has a steady, speedy, powerful gait with small strides and only requires a fairly slow speed by the owner to meet the dogs exercise requirements. Remember that it would take a lot of extra steps by your dog to keep up with your normal walking pace. Rat Terrier Diet: A fully grown Rat Terrier should be fed twice a day. A diet consisting of a premium dog food can be balanced with fresh food eaten by the family. The question is What Can Dogs Eat?. Check out our comprehensive list of what dogs can and what dogs cannot eat. Rat Terrier Health Problems: Potential health problems of the Rat Terrier breed include Luxating patellas, Demodectic mange. Resolving health problems can prove to be expensive and it is always wise to obtain pet insurance or dog health insurance when buying a dog. Is the Rat Terrier dog breed said to be Hypoallergenic? Answer: No. Rat Terrier Lifespan: The life expectancy of dogs vary according to the size, breed of dog and any serious health problems. The typical lifespan of the Rat Terrier breed is 13 to 16 years. Rat Terrier Male Dog Names: Male Dog names are most often chosen to reflect favorite names of the owner or the strength, size, coloring and country of origin of the Rat Terrier breed. To give you some inspiration regarding good male Rat Terrier names our small selection might be of help with naming boy dogs. Our top male dog names are: Ace *** Mac *** Samson *** Roscoe *** Scout *** Spike *** Barkley *** Eli *** Bubba *** Pepper *** Bluey *** Finn. 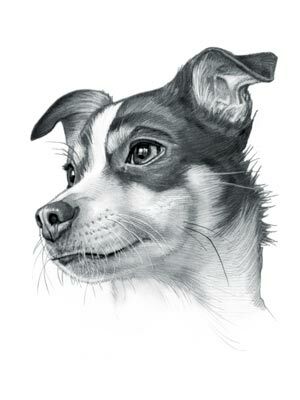 Rat Terrier Female Dog Names: Female Dog names tend to be softer, prettier and reflect the temperament of the girl dog. Our top choice of good female Rat Terrier names are Jessie *** Hazel *** Misty *** Athena *** Kona *** Cali *** Maya *** Phoebe *** Layla *** Roxie.